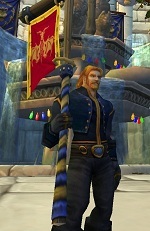 With the launch to Cataclysm Blizzard introduced 20 new in-game obtainable Companions. Some are easier obtainable from 30s (Horde) ; to a little more harder, Random drop of 0.1%. Requires 85 Fossil Archaeology Fragment - No exact Skill lvl needed. Requires 100 Dwarf Archaeology Fragment - 3 Dwarf Rune Stone slots open. Requires 150 Tol'vir Archaeology Fragment - 3 Tol'vir Hieroglyphic slots open. Horde&Alliance Location: Eastern Plaguelands - Start: Fiona's Caravan - NPC - Quest:Fiona's Lucky Charm After Completing the quest you will become Fiona's Lucky Charm and able to loot Hidden Stash. Horde&Alliance Location: Hillsbrad Foothills - Start: Brazie the Botanist - Quest: Basic Botany till Lawn of the Dead. Fun mini-game. Horde: Location: Burning Steppes - Start: Eitrigg - Quest: Abuse of Power till Not Fireflies, Flameflies End: Kibler Questchain is not long. Alliance: Location: Burning Steppes - Start: Colonel Troteman - Quest: Abuse of Power till SEVEN! YUP! - End: Oralius Questchain is not long. Horde&Alliance Location: Mount Hyjal - Start: Aviana - Quest: The Hatchery Must Burn till Egg Wave - End: Farden Talonshrike You musst pick between the gold or blue mini jouster, it is not possible to have both. Horde&Alliance Location: Deepholm Mob: Jadefang Drop 100%. Hunters will be often camping this Mob caus it is new and rare. 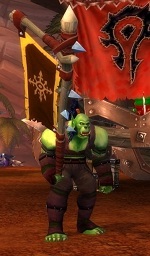 Alliance: Location: Tol Barad Peninsula - Sold by Quartermaster Brazie for 50 Tol Barad Commendation.